This second generation draft SMP purports to seek a return to a more “natural coastline”, re-establish “natural process” and provide “sustainability” (whatever that may mean) yet it advocates policies which appear to promulgate the opposite. The Eccles to Winterton, Beach Road ( Policy Unit 3b13 ) proposals are, I believe, the most incredulous within the Plan. This section covers an area which Nature would wish to be a saltmarsh, yet this SMP proposes to work entirely against nature and continue artificial defence into the long term (2105). That defence is overwhelmingly relying on Beach Nourishment, also referred to as Beach Recharge. This involves dredging vast quantities of sand from an area ( Crown Estates Area 296) just a few miles off Great Yarmouth and pumping it ashore between Eccles and Winterton. Last year the relevant DEFRA Minister said the Environment Agency intended to spend a further £60,000,000 (having already spent some £30,000,000 I believe) over the next ten years on beach recharge for this area. That would indicate the annual cost of defending Policy Unit3b13 is SIX MILLION POUNDS. Therefore over the one hundred year timescale of the SMP they intend to spend at least SIX HUNDRED MILLION POUNDS artificially protecting that stretch of coastline. Elsewhere however ie. 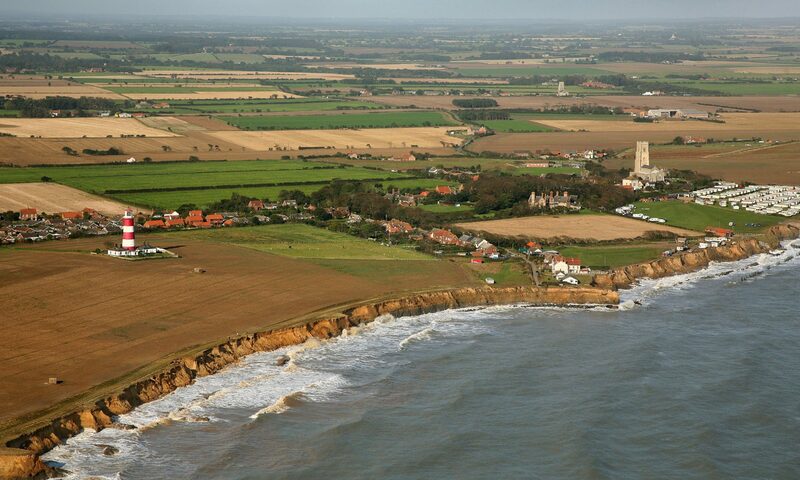 Cromer to Happisburgh where nature has provided it’s own defences (cliffs) the SMP calls for the sacrifice of those defences. It seems to me this plan advocates that we choose a path of wholesale destruction in direct conflict with natural process. Surely if we are serious about working with nature we should be thinking about assisting nature with it’s own (natural) defences i.e. cliffs and adequately managing a return to saltmarsh where nature itself would wish a saltmarsh to be. Notwithstanding the immense financial implications already outlined there is a genuinely held belief by an increasing number of people that the very act of dredging does and will cause or increase coastal erosion elsewhere in the SMP area and beyond. Try as I might I can find no common sense in this SMP. It fails to address the issues of Environmental Impact, Social Justice, Cultural Heritage and Natural Process and is patently unsustainable. Indeed, far from solving the problems it greatly increases them along with the huge financial burden it will undoubtedly impose upon future generations. I regard the draft SMP as not so much a plan for MANAGING our coastline as a draft declaration of the next hundred years war, this time with nature !